On Sunday, September 16th, musicians from across Georgia are hosting a concert to get the people back in power. 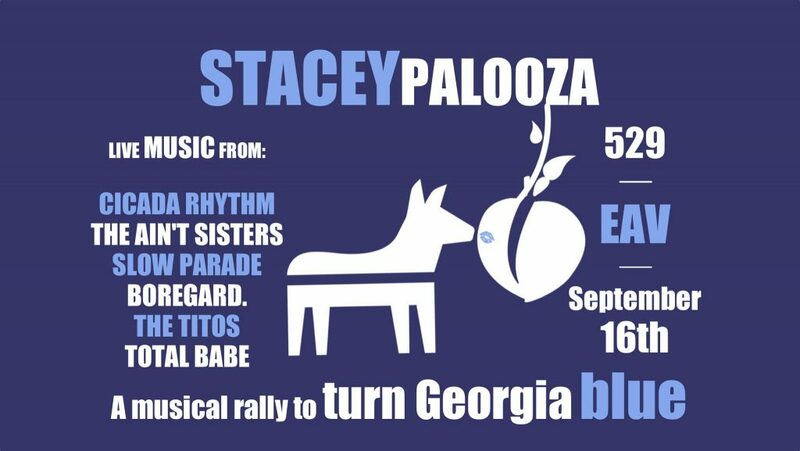 There will be music, raffles, speakers, and most importantly, opportunities to get involved with Stacey Abrams' historic campaign for governor. The voter registration deadline is approaching, and help is needed to turn out the vote. Stacey's platform is all about ending voter suppression, reforming the criminal justice system, and making Georgia's government serve ordinary Georgians. Come help turn this state around! It's free, but donations are encouraged.